This diverse 40+/- acres near Columbiana is ideal for multiple uses. With frontage on Atchison Trace Road between Hwy 26 and Hwy 70 and access to utilities, the property is perfect for a private home site, mini-farm, family getaway, hunting tract, or development, and it's a short drive from I-65, Hwy 280, and Birmingham. 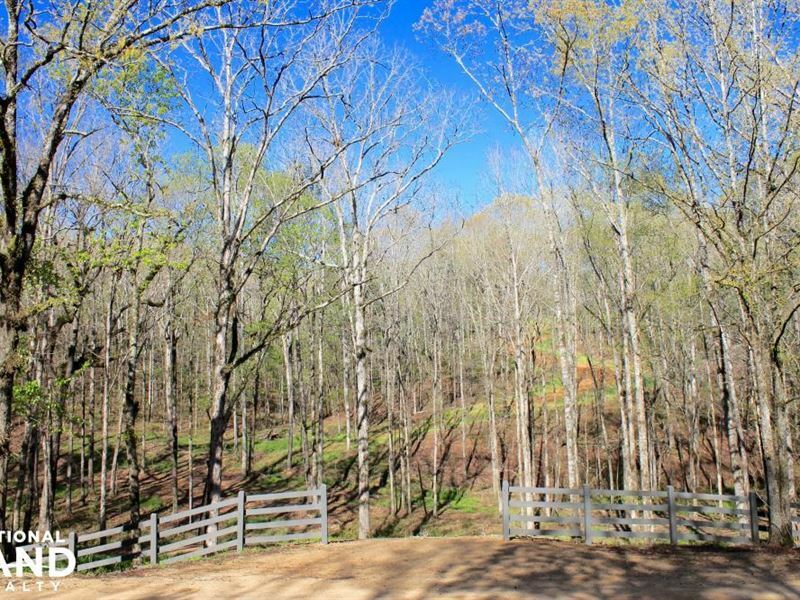 This acreage has several open areas that could be used for a single building site, food plots, or multiple homesites. Some of the many special features include beautiful old growth timber with wild azaleas, native dogwoods, longleaf pine, and ferns that wind through hardwood bottomlands and pine-covered hills. Other amenities and improvements include a fenced entrance, good road system, multiple food plot areas, and a clear stream flowing through the property. Abundant wildlife and location makes it ideal for use as a recreational property or a private mini-farm.